In August, Taiwan’s Directorate General of Budget, Accounting & Statistics revised its GDP growth forecast for 2018 upward to 2.69% due mainly to increasing private investment. Government investment is also expected to increase this year by 5.06%, with the authorities aiming to spend NT$420 billion (about US$13.8 billion) on infrastructure over the next four years as part of its Forward-looking Infrastructure Development Program. 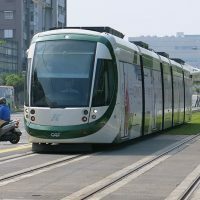 Under this program, 48% of the public spending will be devoted to public-transportation development projects across Taiwan. New and extended rapid transit systems in major cities – including Taoyuan, Taichung, and Kaohsiung – will improve accessibility for residents, enhance the cities’ competitiveness, and provide more real-estate development opportunities for investors. Private consumption next year is forecast to grow 2.47% over 2018 on the back of domestic economic growth and the stable labor market. The unemployment rate fell to 3.8% in July 2018, representing the lowest level for the same month in 18 years. With the monthly minimum wage about to be raised by 5% in January 2019, Taiwanese consumers are likely to be more willing to spend in the coming year, thereby encouraging more retailers to open new stores. In spite of the U.S. Federal Reserve’s multiple rate increases in 2018, Taiwan’s Central Bank kept its benchmark interest rates unchanged, with the discount rate standing at 1.375% since July 2016. It is widely expected that the bank will keep interest rates stable in the foreseeable future to ensure financial stability. Furthermore, the Central Bank may continue to hold its policy rates steady for a longer period of time should the domestic economy be affected by the U.S.-China trade dispute. Overall, the persistently low interest rates can be expected to prompt some local enterprises to purchase commercial properties for their own use. Going forward, the municipal elections to be held next month are worth watching closely. Although the results will not directly impact economic activity and real estate investment, they may indicate whether voters are satisfied with the performance of the central government, which could further influence the government’s policy decisions over the next few years. The current government, inaugurated in May 2016, has adopted a cautious attitude towards cross-Strait relations, resulting in a decline in Chinese tourist arrivals. The Taipei Grade A office market recorded positive net absorption of 10,217 ping (33,775 square meters) during the first half of 2018 thanks to strong relocation demand from both local and foreign companies. Average Grade A office vacancy, on the other hand, rose to 14.7% in Q2 2018 as a result of two new office buildings released to the market over the period. Grade A office rents in Taipei rose modestly by 1.6% year-on-year in the first half of 2018, largely driven by locations in the Xinyi Planned Area, which typically command higher rents. As office space in the Xinyi Planned Area continues to be keenly sought after by multinational companies, particularly those in the technology and financial service industries, Grade A office landlords in the area generally take a firm stance on rents. Average Grade A office rents in Xinyi increased to NT$3,038 per ping (NT$919 per sq. m.) in the second quarter of 2018, reaching a 16-year high. According to the latest Ministry of Labor survey, hiring intentions in Taiwan will remain strong in the upcoming months. About 28% of companies polled intend to increase headcount in the next three months as part of their expansion plans. CBRE Research expects demand for Grade A office space will remain stable in the short- to medium-term, given improving fundamentals. While many office occupiers will remain cost conscious in the foreseeable future, leasing activity is anticipated to be solid, driven by relocation and expansionary demand from corporates in the TMT (technology, media, and telecom) and professional services sectors. Furthermore, the availability of large contiguous space in central business districts will remain tight in the next few years, leaving large occupiers with limited options for relocation. 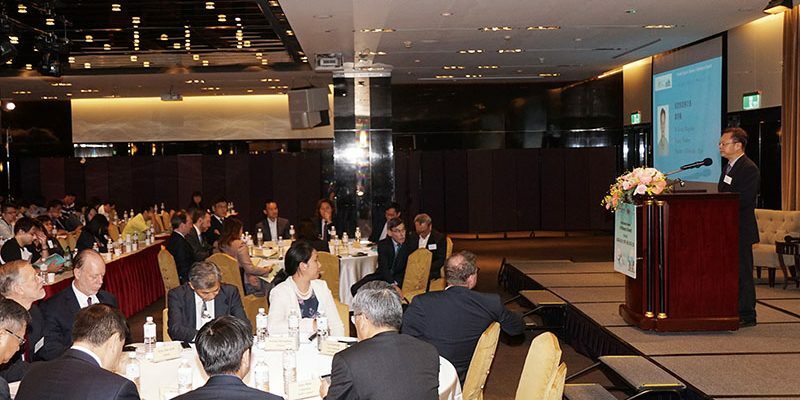 The three new buildings launched in 2018 – Taipei Nan Shan Plaza, Cathay Minsheng Jianguo, and the new United Daily News building – will therefore continue to attract companies looking to upgrade the quality of their office space. Grade A office vacancy is forecast to decline to 13.4% by the end of 2018 as a number of large tenants will move to new offices they have already committed to. Grade A office rents in Taipei are forecast to grow slightly by 0.4% y-o-y in the next two quarters on the back of stable take-up levels. Landlords of Grade A office buildings in the Xinyi Planned Area will likely become less flexible on achievable rents and incentives, while a number of multinational companies will continue to seek office space in prime locations to enhance their corporate image and attract talent. 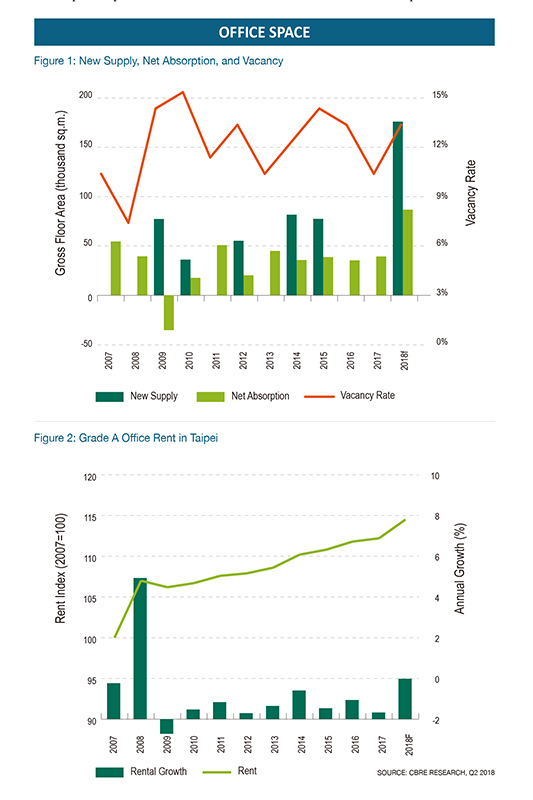 Relatively little decentralization activity is expected in the near term due to the tight supply of quality office space in non-core areas in Taipei City. While a number of multinational companies in the financial services and technology sectors have shown strong interest in moving to decentralized areas for cost savings, the low vacancy rates in these areas will likely hinder their movement. CBRE Research expects that co-working space operators will emerge as a new source of office leasing demand in Taipei, with two foreign operators opening their first co-working centers – Spaces and Kafnu – in the first half of 2018. Some traditional business centers are becoming more willing to provide flexible, fitted-out spaces to large tenants, since more employers are seeking workspaces that encourage collaboration. Co-working space will gradually gain popularity among startups as it allows tenants to move in and out, expand, or contract at short notice without requiring any capital outlay for the fit-out. Taiwan’s retail sales rose steadily by 4.7% y-o-y in the first six months of 2018, thanks mainly to strong sales reported by general merchandise stores. Core retail sales excluding automobiles and gasoline also grew 4.2% y-o-y in the same period, indicating that consumers were willing to spend more amid the economic recovery. Department stores and shopping centers recorded mild growth of 2.6% y-o-y in sales revenue in the first half of 2018. According to the latest survey conducted by the Ministry of Economic Affairs, nearly 50% of department store and shopping center operators view the ongoing expansion of e-commerce as a major challenge. The first half of 2018 saw sales of non-store retailing grow 6% y-o-y, underpinned by the high online penetration rate of over 80% in Taiwan. Visitor arrivals to Taiwan increased by 3.6% y-o-y to 6.2 million in the first seven months of 2018, due mainly to the increase in tourists from Southeast Asian countries, which surged 18% y-o-y in the same period. As cross-Strait relations remain uncertain, visitor arrivals from China are expected to post marginal growth in the next few quarters. Luxury watch and jewelry sales, however, are forecast to post positive growth in the coming months on the back of stronger domestic demand stimulated by promotional activity. Most retailers were observed to remain conservative about expansion in the first half of 2018, leading to subdued leasing activity. 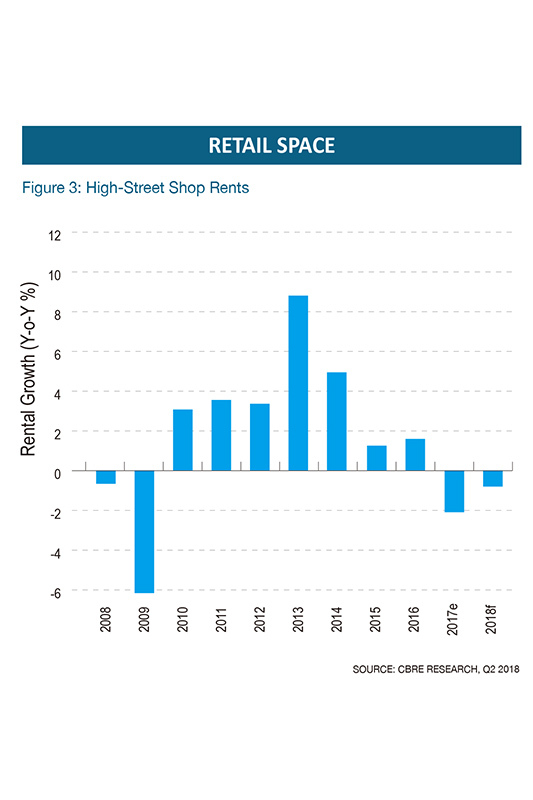 High-street shop rents therefore declined by 0.8% y-o-y during the first two quarters of this year. Nevertheless, an increasing number of retailers have shown willingness to take up space after landlords slightly reduced their asking rents. CBRE Research expects that high-street shop rents in Taipei will resume growth in 2019 due to stronger demand from foreign retailers compared with 2018. Food & Beverage receipts grew steadily by 4.7% y-o-y in the January to June period this year, thanks to robust demand for dining out. F&B retailers are expected to continue to dominate leasing activity, led by Japanese and local restaurant operators. Some retailers in the cosmetics and personal care sector are planning to open new outlets in the next few quarters, but they are selective about location and remain cost conscious. 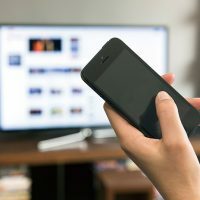 Meanwhile, fast-fashion retailers will likely adopt a conservative approach towards expansion, with many of them shifting focus to developing and expanding their online platforms in the coming year. In the department store and shopping center segment, operators will continue to adjust their tenant mix to increase traffic, with some groups intending to devote more space to F&B and entertainment-oriented tenants. A new shopping center, operated by Breeze Group, will open its doors to shoppers in the Xinyi Planned Area in late 2018. 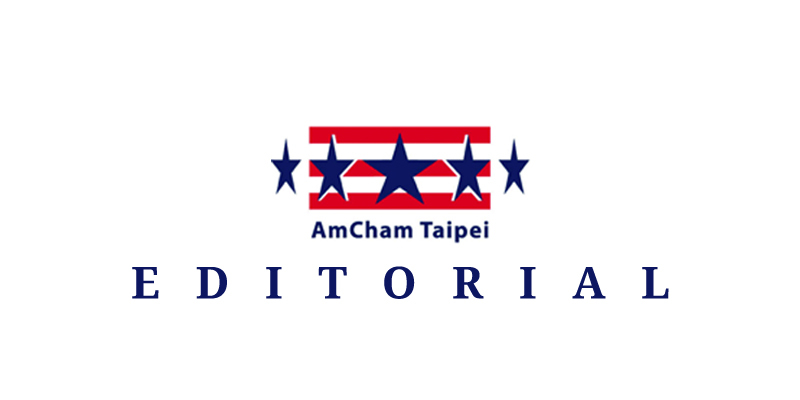 Several new international brands will likely open their first stores in Taiwan in this retail facility, given the limited availability of quality retail space in Taipei’s major shopping precincts. Total investment turnover of commercial properties in Taiwan rose 97.3% y-o-y to NT$46.2 billion over the first half of 2018. The significant increase in transaction volume was mainly attributable to a big-ticket deal worth NT$18.7 billion concluded by the Formosa Plastics Group in Q2 2018. 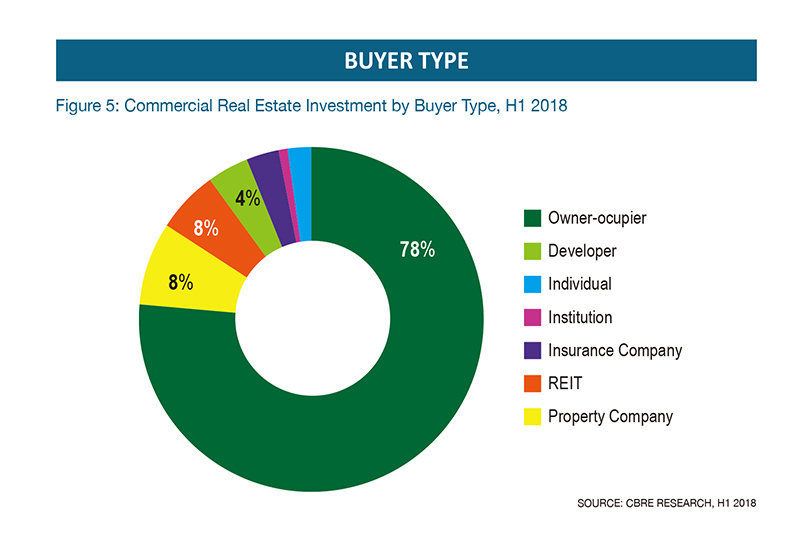 Local owner-occupiers continued to drive investment activity, accounting for nearly 80% of total investment turnover in the first half of 2018. Institutional investors, on the other hand, have remained inactive, largely hindered by the low yield levels in Taiwan. Price corrections across most asset classes in the first half of 2018 were mild, due mainly to the fact that vendors are generally under little pressure to soften asking prices. The gap in price expectations between vendors and buyers will continue to impede deal flow in the coming quarters. A number of deals closed in the past few quarters were completed after vendors adjusted their asking prices downward by 10-15% to speed up transactions. The land market registered substantial growth of 81.4% y-o-y in total transaction volume over the first half of 2018. The increase was largely attributable to local developers actively purchasing development sites to replenish their land banks, while the overall housing market remained relatively sluggish. Developers are expected to continue to invest in raw land as an increasing number of land owners adopt a more flexible attitude towards pricing. As interest rates will likely remain low in the short- to medium-term, investment activity in the Taiwan commercial real estate market is expected to continue to be driven by demand from owner-occupiers. An increasing number of local enterprises intend to purchase office and industrial properties for self-use to avoid lease negotiations with landlords, which can often be complex and time consuming. However, local SMEs will remain price sensitive as they anticipate the enjoyment of capital appreciation over the long term. The implication is that the negotiation process will be lengthy, given that landlords have slowly adjusted their pricing expectations. 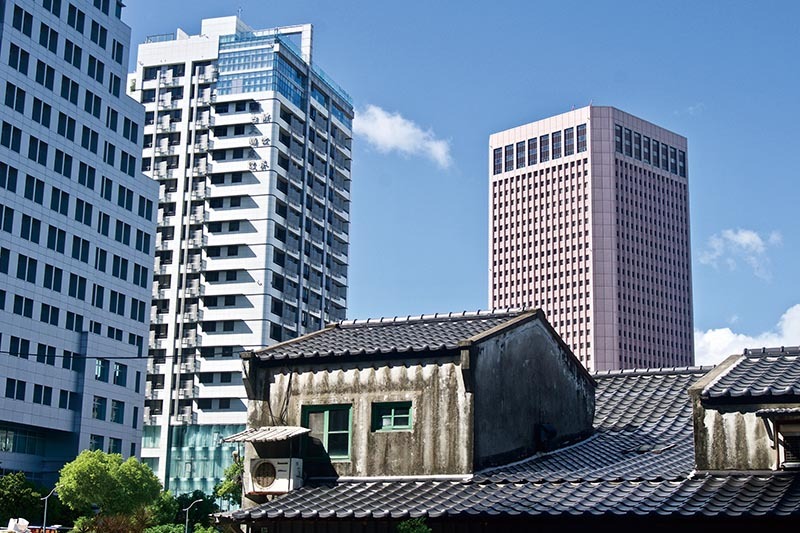 Insurance companies will continue to adopt a conservative approach toward commercial real-estate investment in Taiwan, as they are seeking higher returns from core investments. CBRE Research expects to see only sporadic commercial property transactions by local insurers in the next few quarters due to the lack of investable properties that meet their yield requirements. 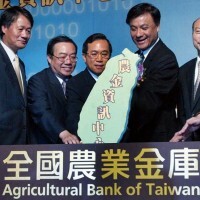 Local insurers are expected to deploy more capital in development projects in major cities across Taiwan to attain better returns. 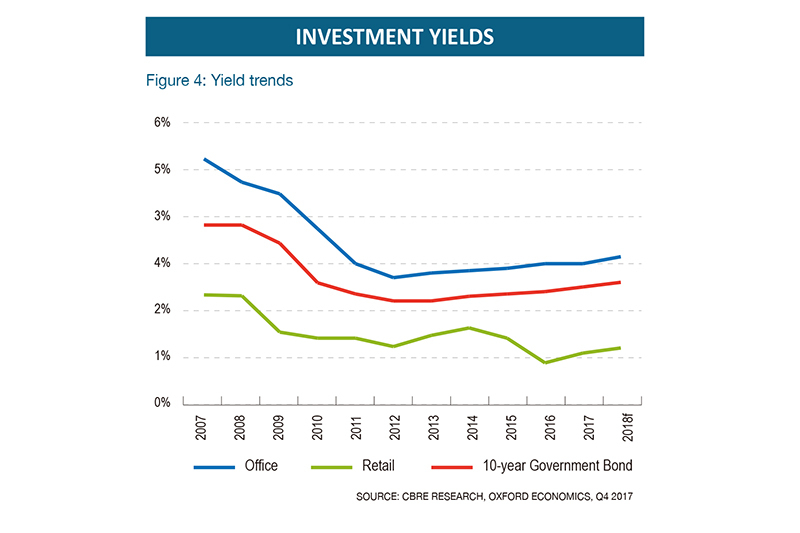 Across sectors, office and retail properties are expected to see moderate yield decompression in 2019, with average capital values declining slightly. 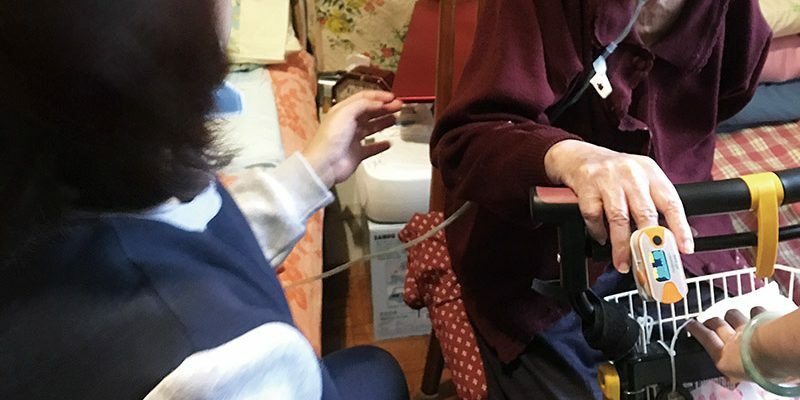 Although some domestic owner-occupiers are keen to purchase strata-titled offices (a form of ownership devised for multi-level apartment blocks and horizontal subdivisions with shared areas) in Taipei’s major office districts, they are expected to be selective. Only office properties priced at fair market value and located in convenient locations will be sought after. Owners opting for disposals are expected to lower asking prices to accelerate the negotiation process. Office yields are forecast to inch up by 10 basis points to 2.6% during 2019. Yield levels for retail properties are expected to increase modestly in the year ahead, attributable to vendors adjusting asking prices downward to attract buyer interest. While the overall retail sector will likely continue to see improving sales amid stronger fundamentals, a few shopping malls struggling to sustain growth may be put on the market. On the other hand, medium and large-scale shopping malls, mostly owned by local conglomerates, will remain tightly held. Industrial properties will remain popular among local manufacturing companies. However, vendors are likely to retain realistic asking prices as owner-occupiers are generally reluctant to chase prices. Speculative activity in the industrial sector is expected to decrease as a result of new regulations imposed by the government in late 2017. With rents remaining stable, industrial yields are forecast to remain unchanged at 3.85% in upcoming quarters. This entry was posted in Industry Focus and tagged Real Estate. Bookmark the permalink. 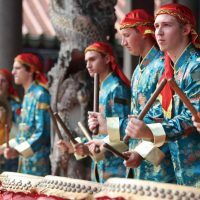 Can Taiwan Accommodate English-language Higher Education?